Christof Huebner, viola, Artistic Director Emeritus of the Walden Chamber Players and a member of the Orpheus Chamber Orchestra was born in Vienna, where he attended the Vienna Conservatory and subsequently the Wiener Musikhochschule. Mr. Huebner studied with Hatto Beyerle, violist of the Alban Berg Quartet, and was the recipient of a grant by the Alban Berg Foundation. Continuing his studies with Michael Tree at the Saint Louis Conservatory as a Fulbright Scholar, he received his artist diploma. Before coming to the US, he played with the Vienna Philharmonic Orchestra, the Vienna State Opera Orchestra, and the Vienna Chamber Orchestra. He is a frequent performer at music festivals such as Marlboro Festival, Seattle Chamber Music Festival, Rockport Chamber Music Festival, Salzburg Festival, Wiener Festwochen and he is on the faculty of the Foulger International Music Festival. Mr. Huebner has performed with members of the Guarneri Quartet, Alban Berg Quartet and the Boston Chamber Music Society. 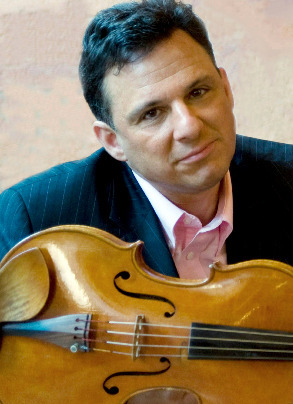 He has appeared as a guest artist with the American String Quartet and the New World String Quartet and frequently tours with Musicians from Marlboro. He has recorded for BMG/Harmonia Mundi, EMI, Deutsche Grammophon, Koch International and Nonesuch Recording Co. Mr. Huebner is also the former Director of Chamber Music for the Composers Conference and Chamber Music Center at Wellesley College. H is currently a member of the Handel and Haydn Society Orchestra and has performed with the Smithsonian Chamber Players, Concert Royal and Tafelmusik Baroque Orchestra of Canada. Christof Huebner is a founding member of the Walden Chamber Players.